I appreciate the structure of Goshen College’s Study-Service Term and am glad to hear about the profound experiences that students have about the learning, the work and learning to live in another culture with new families. I believe those relationships are a critical component of the S.S.T. experience – for those who go on S.S.T. and those who receive members of the Goshen College community. I am often slightly suspicious (even sometimes very suspicious) of “service trips.” I think that it is critically important for genuine relationships to be built into service models, and for a mutually beneficial experience on the part of people on both sides of the relationship. Too often, the people who benefit most from these types of encounters are the ones who go to serve. Many of us have experienced that dynamic: returning home and telling stories about how we received much more than we gave. Several years ago, I served as an associate pastor in an urban church. Part of my pastoral portfolio included caring for and planning activities for youth and young adults. During my first spring season on the job, I noticed something that I would learn to watch out for every spring. Our church – located in a poor area of the city – would get calls from other youth pastors planning the spring and summer activities for their youth. The calls to our church were inquiries about service projects. The pastors (or youth sponsors) were looking for service projects to do and wondered if we might have some things for them to do in our church or in our neighborhood. A couple of times, I did set up some things for groups to come in and do. And I bet they went away feeling great about the work they did. But there was a problem. Actually, a couple of problems. First, we did not get to know the youth who came to do service in our neighborhood. Second, the projects that I was setting up for other youth groups to come and do were things our own members and youth were perfectly capable of doing, and did do. I was basically setting up a dynamic that had the potential to make one group of kids feel good about who they were and what they were doing, and make another group feel bad about who they were and what they seemingly “needed” that outside group come in and do. What was missing was a sense of mutuality – both groups coming together and sharing in the giving and the receiving. Also missing was a sense of relationship. I began to suggest that instead of outside groups coming in and serving and then leaving. Instead, we should focus on getting to know one another. It took some time, but eventually there were some takers, and genuine relationships had the opportunity to grow. That’s the kind of service and learning that I hope to always be a part of. 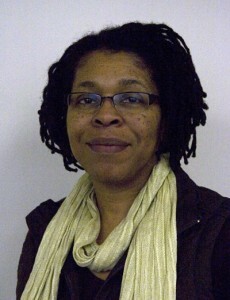 Regina Shands Stoltzfus is an assistant professor of sociology at Goshen College.